NEW GUIDE: Circuit Playground Kaleidoscope – Make a Homemade Electronic Kaleidoscope using Two Pringles Cans! « Adafruit Industries – Makers, hackers, artists, designers and engineers! NEW GUIDE: Circuit Playground Kaleidoscope – Make a Homemade Electronic Kaleidoscope using Two Pringles Cans! A fun project combining electronics, kitchen craft, and NeoPixel goodness all-in-one – the lights change based on accelerometer movement like when you twist the lower compartment! Design the Circuit Playground Kaleidoscope to spec or make your own adjustments and use other reflective/refractive materials for the interior. If you make this project be sure to share it on social and ping us when you do! 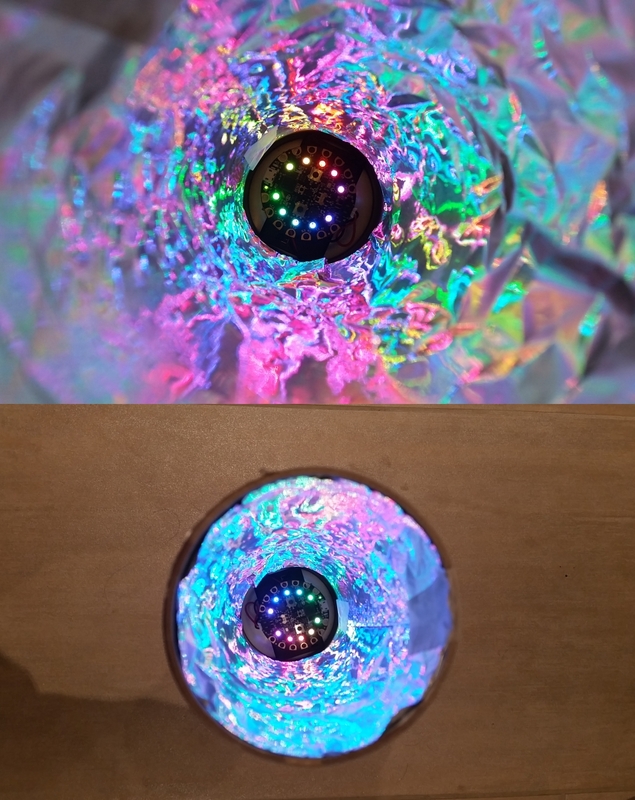 Comments Off on NEW GUIDE: Circuit Playground Kaleidoscope – Make a Homemade Electronic Kaleidoscope using Two Pringles Cans!